One thing is for certain when you are flying from any airport in your home country and that is, you will need to get to and from the airport itself. Although there are many transfer options available such as public transport, coaches or taxis, one of the more popular choices for many travellers is to simply take their own car and drive to and from the airport themselves. This is a popular choice for many passengers, especially when there are several people traveling in a group as it can work out much cheaper to share the cost, rather than pay individual fares on others forms of transport. If you plan on taking your car to the airport, then you will need to park your car. Find the best deals on airport parking from the top leading companies. Choosing to drive to the airport in your own car has many advantages. It allows you the traveller to plan your own journey and schedule and it also eliminates waiting around at the airport on your arrival back in your home country. There are many different options of airport parking available to passengers flying from airports throughout the country and these options usually determine the final price you will pay on your selected duration of car parking. 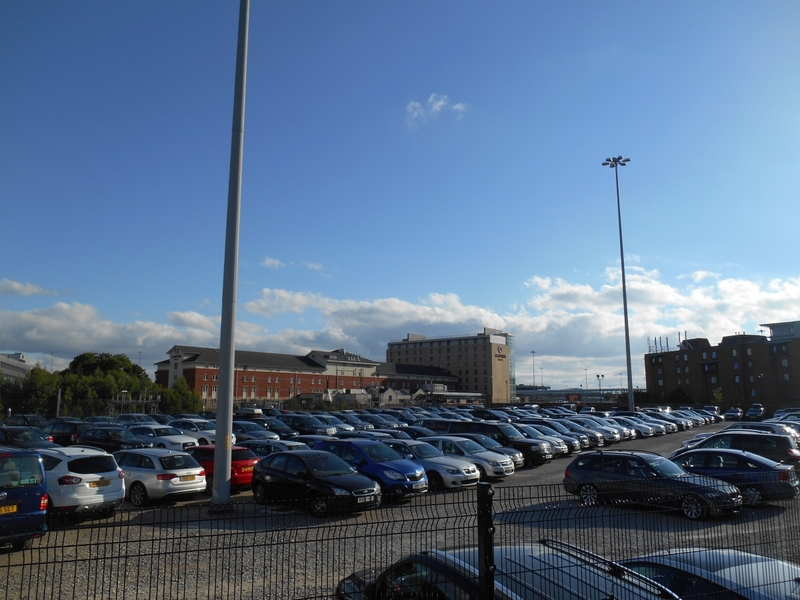 Passengers usually have the choice of ‘onsite’ parking or ‘off site’ parking. The difference between the two is that ‘onsite’ parking is actually on the airport grounds, whereas ‘off site’ parking is usually a little more distance away from the airport and usually requires a transfer to and from the airport to the car park. This transfer is normally provided by the car parking company itself. The price is generally higher for ‘onsite’ parking as you are paying a little more for the convenience of the close proximity to the airport. However, if you are not in a great rush, the ‘offsite’ parking can usually be reached by courtesy bus in a few minutes. During the booking process, you are required to provide your flight details, this is generally so that the airport car parking companies know which flight you will be on and can ensure your car is ready for collection and that a courtesy bus will be waiting ready to pick you up from the airport on your return. All airport parking facilities vary depending on which airport you are flying from but in general, most follow the same kind of procedures regarding booking and getting to and from the airport terminal. 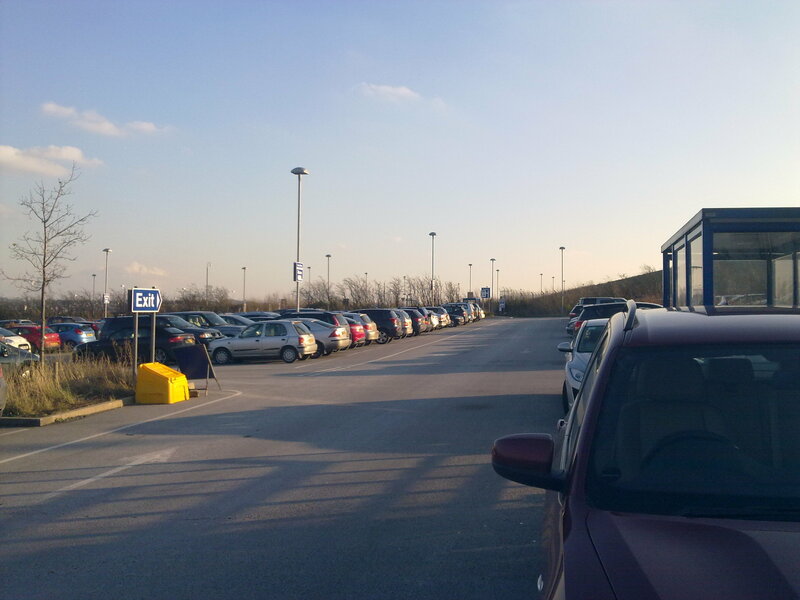 Offsite airport parking or more commonly known as ‘Park & Ride’ is one of the most popular choices as it is the cheapest. 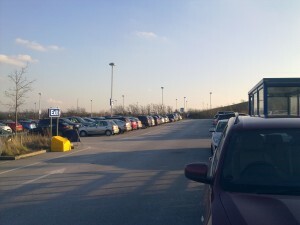 These car parks are known as ‘Offsite’ because of their locations to the airport and normally require a transfer by courtesy bus to the airport terminals, hence the name ‘Park & Ride’. The journey to and from the airport is usually about 10-15 minutes and this is why they are usually the cheapest option. ‘Park & Ride’ usually requires you to check your car in to the reception on arrival and then hand your keys over to the car parking company. A member of staff will then park your car and will then ensure it is waiting for you on your return. In some locations you may be required to park your car yourself but you will be informed about this process in advance. You will then be transferred to and from the airport by courtesy bus provided by the car parking company. Onsite parking is more expensive than the ‘Park & Ride’ option because of its close proximity to the airport terminal. Onsite Parking is usually located within the grounds of the airport itself, providing convenient access to the terminals and airport. If you choose to use the ‘onsite’ parking at the airport, you will most likely have to find a space in the designated parking area and then either walk to the airport terminal or catch a courtesy bus to the airport terminal. Onsite parking does not usually require you to leave your keys and for some people, this is a much preferred choice. If you are using the onsite airport parking facilities, you may be required to insert your bank card into the barrier upon arrival (this is usually the card you used to make the booking). This is simply so that your booking can be authorised before the barrier is raised. Once your card has been scanned and your booking recognised, the barrier will lift and you can then find an appropriate space to park your vehicle. area and check-In for your flight. On your return to the airport, the process is very simple. All you need to do is phone the chauffeur once you have landed and then they will drive your car to the airport terminal. The chauffeur will be waiting for you outside with your vehicle as you exit the arrivals terminal so you can drive from the airport terminal hassle free. This service is a popular service for many travellers who require a hotel for the night before they fly and who also require parking for their car for the duration of their trip. Booking airport parking and hotel is is especially popular with those passengers who may have a long drive to and from the airport and who do not wish to risk driving to the airport on the same day as they are travelling. As with many things, booking your airport parking in advanced does have many advantages. Car parks only have a limited amount of spaces and can only accommodate a certain number of cars. Once these spaces have been filled, obviously, you will not be able to park your car! Generally, the sooner you book your airport parking, the better deal you will receive. It really is on a supply and demand basis and there will only be a certain number of spaces at low prices. Once these spaces begin to fill, the price will increase. There are two prices you can pay for airport parking and these prices are simply ‘Higher’ and ‘Lower’. If you book in advance you will receive better deals and as a result will pay much lower prices than if you just turn up on the day without a booking. If you turn up at the barrier without a reservation, you will be charge a much higher rate! Also, booking in advanced guarantees you have a space. Turning up at the airport on the day without a reservation will not only cost you a lot more money but it could also see you struggling to find an available space and that is not a good situation to be in at the airport, especially if you are pushed for time! The Internet is full of websites offering airport parking but which ones do you choose and which ones are the best and cheapest? Well, booking online is generally the cheapest way to purchase your airport parking as there are normally better deals to be found. However, trying to visit all the different websites individually can be a nightmare so it is recommended to use one of the airport parking comparison websites or agencies that search all the available companies and then provide the best deals at that current time. To help this this process a little easier, we have provided a list of some of the best airport parking comparison websites that consistently provide the best deals on airport parking. Using the list below, will ensure you find the best deals to suit your requirements and budgets. The bottom line is very simple, if you are taking your own car to the airport, you WILL NEED to pay for parking. If you know that you are taking your car, book your airport parking early in advance and save time, stress and money!